Reading are waiting on the fitness winger of Jimmy Kebe, who missed the FA Cup win at Stevenage at the weekend because of illness. Alex Pearce (thigh) missed that game and is not expected to feature, but new signings Mathieu Manset, Brett Williams and Sean Morrison are in the squad. Third-placed Cardiff have had their problems this season but have reason to be buoyant after beating promotion rivals Watford 4-2 last time out. It was the Bluebirds' third consecutive victory. Reading, who are ninth, are also in good form. They have won four of their last five league and cup matches, and lost only one of 14. In fact their only league defeats in 13 have been away to title chasers QPR and Swansea. But there lies the problem for Reading. They have struggled all season against the Championship's leading sides, and are yet to beat a team currently above them in the table. 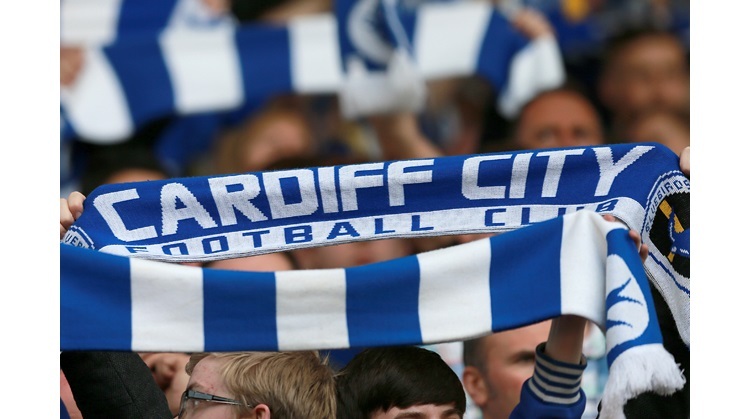 Ominously for them, Cardiff boast the second tier's best record against current top-half clubs. And no team has won more Championship games than City, who have racked up 14 victories. • Cardiff and Reading have each won 19 of the 56 previous matches between these clubs. • Cardiff have opened the scoring in an unsurpassed 16 Championship matches this season. • They have won all 14 matches in which they have scored more than one goal. • City have won six, drawn two and lost five of their matches against top-half teams this term. • No team have drawn more second-tier games this season than Reading (11). • The Royals have scored 10 league goals in the final five minutes of matches - more than any other team - and are the only side to have conceded just once in the final 15 minutes. • Jobi McAnuff is set to face one of his former clubs.